So I wanted to share all the fall clothes I bought for the past couple of weeks and how Iâ€™ve been styling it if you havenâ€™t seen it on my Instagram already. Zara might be pricey for other people but I love shopping at Zara because of its guaranteed quality, but I also loving the SALE collection. I find their collection always fitting to my style and this Lapel Coat from Zara was a great bargain that I got for $39.90. Itâ€™s currently out of stock but thereâ€™s another Lapel Coat on sale in a very similar style. 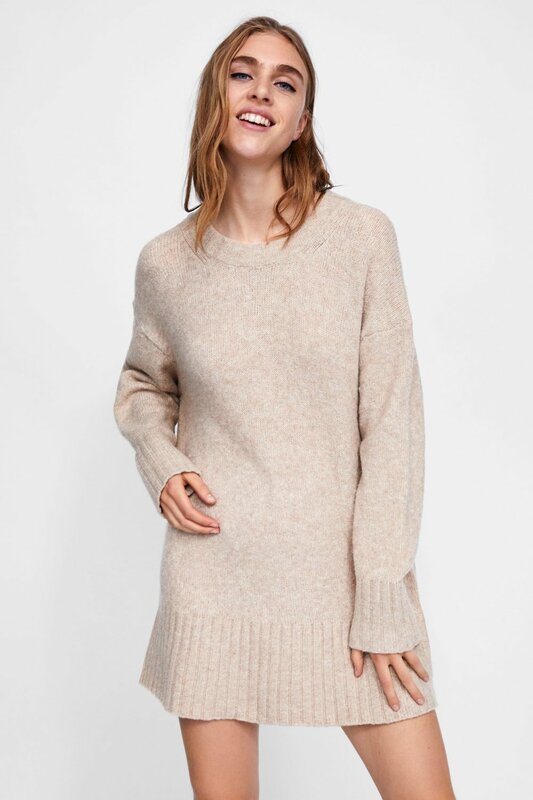 If you donâ€™t notice already, I love brown tones so hereâ€™s another great snag from Zara that I got for $25.99. I love everything oversized so I can do as much layers as I want and because itâ€™s above the knee, it can pass as a dress. I just throw a knee-high boots or long socks to complete the fall look. This teddy jacket is the latest trend and itâ€™s crazy how majority of clothing brands overprice this product! I wonâ€™t deny how comfortable and cozy it is whenever I have this on and I was really happy that I got to find a nice teddy jacket at SheIn. That website is either a hit or miss and this product was definitely a big hit given that it has a super nice quality, too. I also love how I can still layer browns on browns because of its darker tone. Ever since I got these boots, Iâ€™ve been wearing it nonstop and pairing it to all my fall outfits. I love how this specific design is true to my shoe size. My true size is 6.5 but depending on the brand, Iâ€™m either a size smaller of bigger. It may look big and bulky but itâ€™s actually really comfortable to wear and not heavy. I can still wear fleece socks inside because the lace gives space when loosen. It fits my wardrobe just right. Because iâ€™m a VIP Member of JustFab, instead of getting it for $63, I got mine for $18 only. On top of my VIP registration, I got another $30 discount for just being a member. Get your membership now, and NOPE, I wasnâ€™t paid to say this! If you follow me on Instagram, you probably know that this hat is always part of my OOTD. Iâ€™ve been looking for a felt hat thatâ€™s not too wide and not too brown and it so happened that JustFab released their Fall Collection when I was in hunt for it. Unfortunately, the hat is now out of stock but I linked all the hats I was eye-ing before I decided to buy this. Itâ€™s just a staple style! So those are my current favorite fall clothes and accessories. Now that the leaves are changing and about to fall anytime soon, Iâ€™m starting to shop thicker clothes that are good for winter and wind chills. I would wish for fall not to be over because itâ€™s my favorite season so far, but I'm not gonna lie, Iâ€™m excited for snow! Do you have your favorite fall clothes too? Share it on the comments below and I would love to check it out! Disclaimer: This post is not sponsored nor affiliated to any brand. Content is solely my own.